Customers will make your business take off, but customers will not put their trust in a business or a product particularly easily. Patience is needed when trying to lure customers to your brand and the one factor that will keep them coming back for more is trust. Trust in the brand, trust in the company, trust in the product, trust in you. 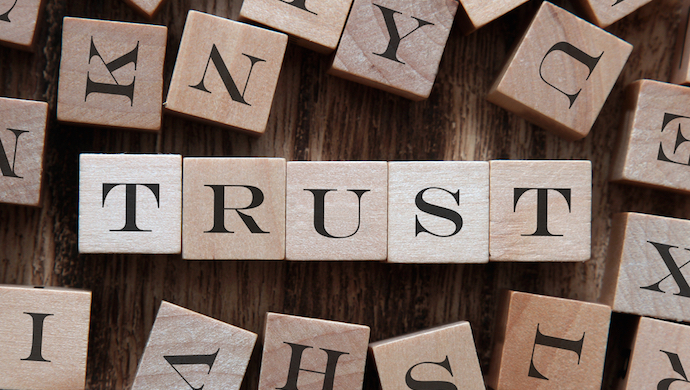 But trust is one of those tricky things that take a long time to build and a split second to destroy so it’s vital that you approach your customers with care but most importantly patience. You can draw parallels with your personal life. Many of the people you keep closest to you, who you trust the most have been around for a while and the trust that has been built has been gradual and over time. Think of relationships with significant others. You can’t just go rushing in like a bull in a china shop or you’ll scare them off (believe me I know). The foundation of any relationship is built on trust. Experts estimate it can take as long as two years, on average, for customers to trust you and as many as five years for the company to start making a profit. Again this may sound on the face of it like a long time but that should serve as a warning to any budding entrepreneurs that patience in abundance and perseverance by the boatload is required to build a successful company. How do you target these ever elusive customers though? How can you get them to trust you? Which methods are best? Well here it’s all about knowing who your customers are and how to appeal to their preferences. Instant gratification is often the preferred poison as it were of the younger generation. Twitter and Snapchat will be the medium best suited to getting your message across while slightly older customers will prefer Facebook. Of course all customers are different and shouldn’t necessarily be stereotyped based on their age but the stereotype exists for a reason. Older customers will always prefer a more hands on approach and will want to speak to someone who can provide them real-time support. It’s vital that you know who you are dealing with so you can then cater to their needs and build a bond of trust that should help catapult your business towards success. What Pinky and the Brain can teach about Business StartUp!